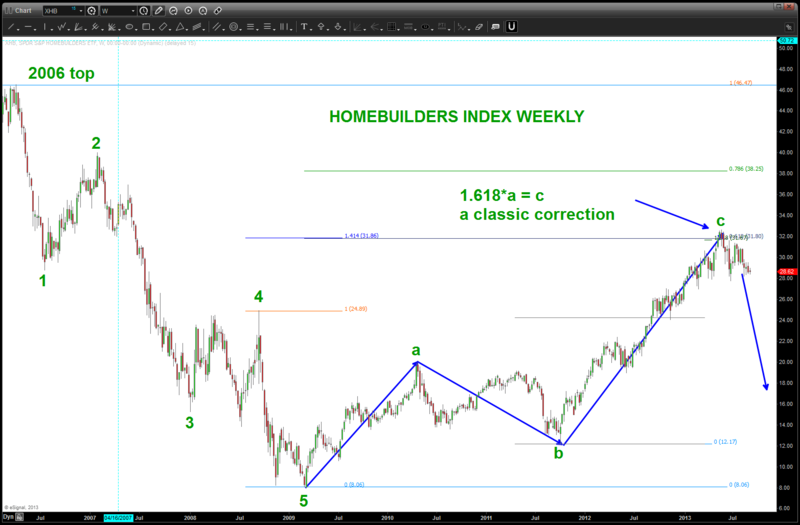 Homebuilder’s Index has “recovered” nicely, as has everything, from the 2007-2009 timeframe. That being said, we have a very symmetrical and orderly pattern that has recently completed on the weekly timeframe. 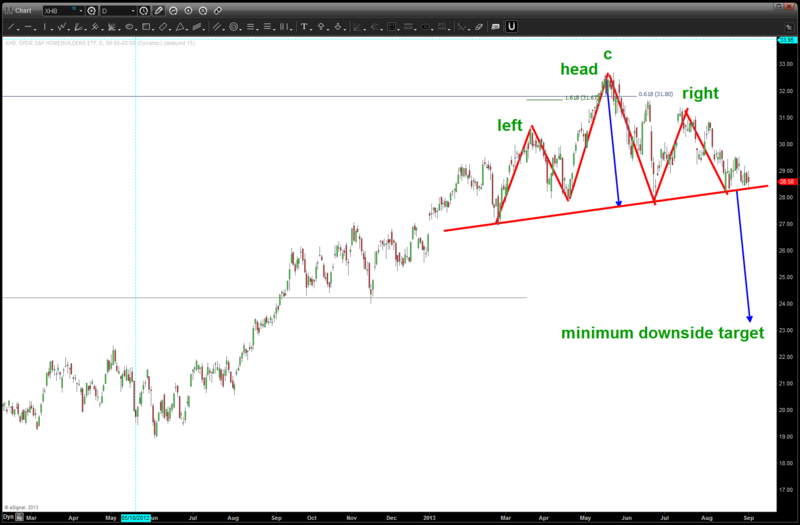 Additionally, take a look at the daily timeframe – the classic head and shoulders pattern pops right out at you. Stay tuned, but perhaps the big bad wolf is about to pounce and blow the house down? Or, not ….